Fiber Flux: I've Been Featured In the June Issue of I Like Crochet! I've Been Featured In the June Issue of I Like Crochet! Summer is on its way and and I'm happy to announce a summertime pattern of mine has been featured in I Like Crochet magazine! The June issue of I Like Crochet Magazine is available NOW and I had so much fun checking out what is new. Some of my favorites are the Rad in Red Tank, Lovely Lilac Shrug, Summer Blues Skirt and the Beach Glass Dress. Summer living patterns, like the Mellow Yellow Rug and the Sparkle and Bloom Pillow, will help you transition your home for the season while all of the super cute baby patterns will help you crochet the cutest pieces for little ones. 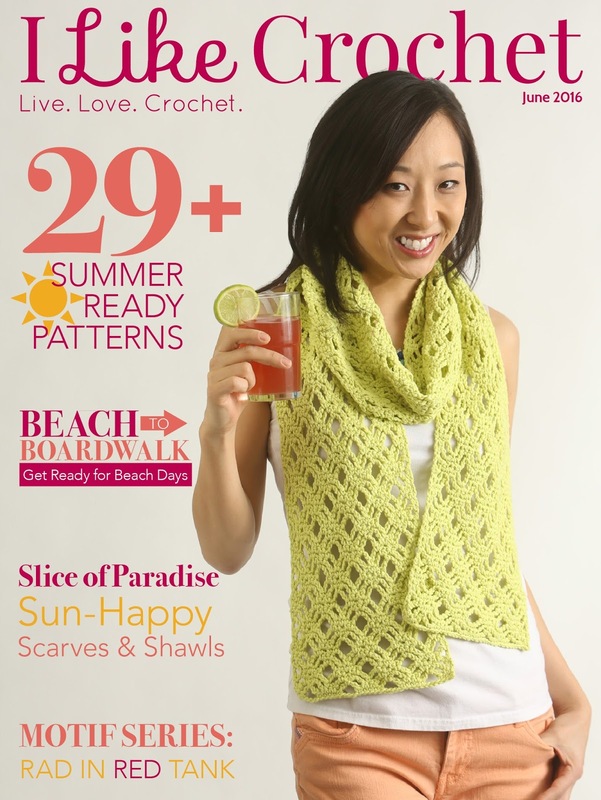 Whether you’re ready for the summer heat or just looking to crochet by the beach, this issue has what you need. Grab a copy today! 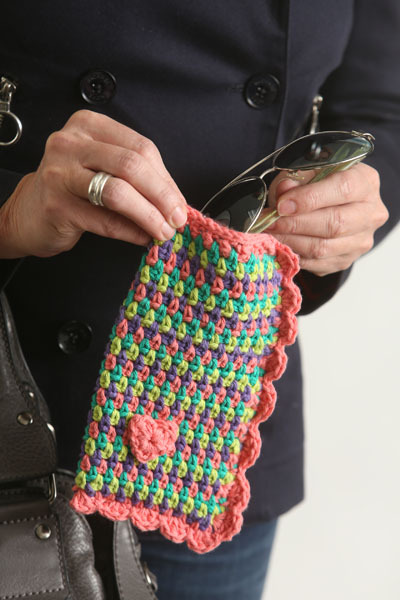 One of my patterns is featured this month, the Summer Lovin' Sunglasses Case, crocheted in a fun and colorful linen stitch, perfect for keeping your sunglasses clean and scratch free! Here are some of the other gorgeous patterns featured this month...which one is your favorite? 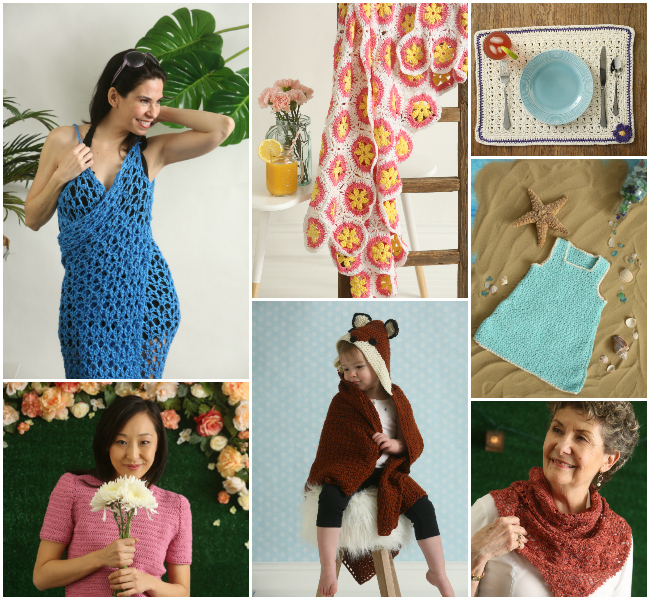 · Bring on the sunshine with 29+ summer ready patterns. · How do you zoo? Say hello to cute animal-themed patterns for baby. · Beach-to-boardwalk patterns to get you ready for beach days. · Crochet new summer staples for your wardrobe. · Take a siesta or throw a fiesta? Crochet patterns for relaxing and summer get-togethers. Note: This post contains affiliate links, all opinions are my own.